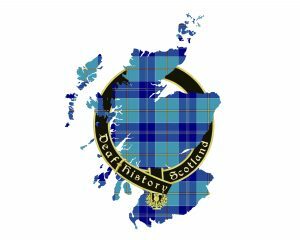 Since its founding in 2008, Deaf History Scotland has wanted to establish a Scottish Deaf History Archive and Museum in which to store the heritage of Scottish Deaf communities. Too often Deaf heritage is ignored or devalued. 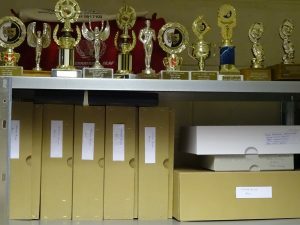 As Deaf schools and Deaf clubs close, their records and artefacts are discarded or packed away to be forgotten in basements, garages or attics. When elderly members of the Deaf community pass away, their hearing families sometimes do not realise the value of their personal records, and they are lost. A Scottish Deaf Archive and Museum will provide an invaluable space for research and celebration of Scotland’s Deaf heritage, in a Deaf-led space where British Sign Language is foregrounded. Without funding or institutional support, Deaf History Scotland is attempting to bring together the miscellaneous records of Scotland’s Deaf communities. In 2017 we rented a small room in the basement of Deaf Connections in Glasgow, and since then donations from the Deaf community have come in thick and fast. 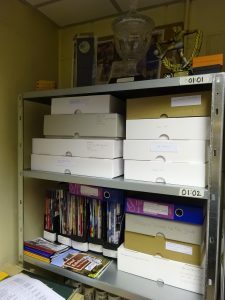 Our committee, consisting entirely of volunteers, has painstakingly unpacked the contents of bags and boxes (which are often in poor condition) and carefully catalogued and stored them in archive-appropriate boxes and folders. 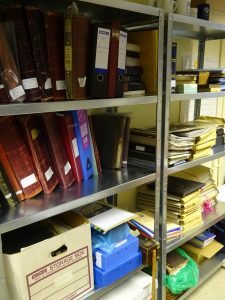 So far, we have over 40 collections, including those relating to Deaf schools, Deaf clubs, Deaf organisations and individuals, and have catalogued over 700 discrete items – some dating from as far back as 1834! But we have not been successful so far in securing funding for the project, and it depends entirely on private donations. If you would be interested in supporting us, please contact us!